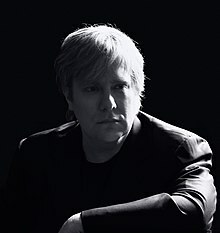 Jeremy Soule (born December 19, 1975) is an award-winning American composer of soundtracks for film, television and video games. It's safe to say that in the past, games have wanted to be like movies, but we all know now that they aren't movies and they never will be. Games are often bigger, richer and more time consuming. As the crash was occurring, I remember that I felt no fear although I was obviously concerned for the people in cars that were headed in my direction. I simply just acknowledged to myself that I've had a good life and I would soon have to say goodbye to all of it in a matter of seconds. My secret desire is for the whole world to eventually play games and for games to have the kind of influence that books and movies do. Games are a great place for the planet's collective subconscious to grow as we further our understanding of each other. Jeremy Soule Interview (June 04, 2002). This page was last edited on 14 December 2018, at 00:08.